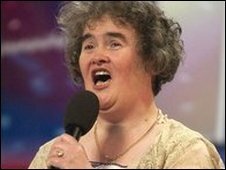 Britain's Got Talent runner-up Susan Boyle has been taken to The Priory Clinic in London with exhaustion. The Scottish singing sensation is said to be drained after losing out to dance group Diversity on the ITV1 show. 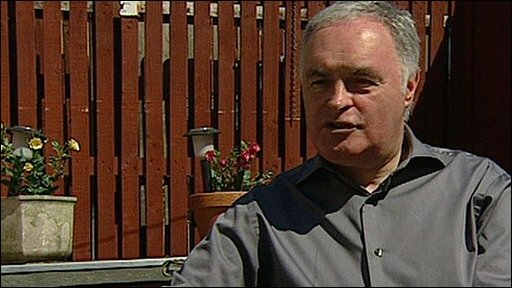 Her brother, Gerry, told the BBC that Susan was "fine" but feeling homesick and "showing signs of anxiety". On Sunday, it emerged Boyle was taking time off on the advice of a doctor. Television company TalkbackThames released a statement: "Following Saturday night's show, Susan is exhausted and emotionally drained. "She has been seen by her private GP who supports her decision to take a few days out for rest and recovery." "We offer her our ongoing support and wish her a speedy recovery." At 1800 BST, officers were called to a London hotel where doctors were assessing a woman who was later taken by ambulance to a clinic, police said. However, Gerry Boyle played down reports that his sister has mental health problems. "That's all been played up in the press and, obviously, the stories go on and on and on. "She tends to get a wee bit anxious, it's just part of her character," he explained, adding that she was currently "surrounded by people she doesn't really know". Mr Boyle said his advice to Susan had been to "take a couple of days off" so she could "come back down to earth". Boyle became an international singing sensation after first performing I Dreamed A Dream in the contest, a song she reprised for the final. Her performances have attracted millions of hits on video-sharing websites and led to an appearance on the Oprah Winfrey show. 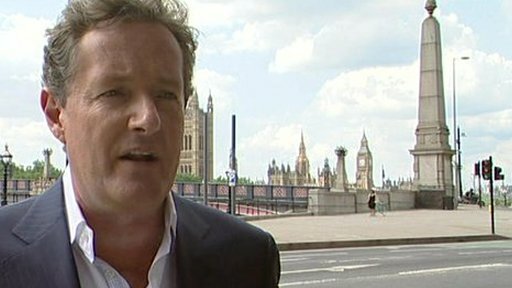 Britain's Got Talent judge Piers Morgan told GMTV the attention Boyle received was "crazy" and "nobody could have predicted it". "She wasn't used to it, and just needs a break," he later told the BBC. "She said she was exhausted, she said she was physically and mentally drained, she'd been sick a few times in the previous week, hadn't been sleeping, hadn't been eating - and had found the whole weight of the world's media pressure crashing down on her shoulders," he added. The show's winners, Diversity, said Boyle had been very gracious in defeat, congratulating and joking with them backstage. "I feel for her because she had a lot of hype around her and she didn't ask for it," the group's choreographer, Ashley Banjo, told ITV1's This Morning. "She's going to have a great career anyway, and I wish her well in whatever she does. She's a really nice lady." Fellow contestants Stavros Flatley - aka Demetrious Demetriou and his son Michalakis "Lagi" Andreas - told BBC Radio 5 Live's Victoria Derbyshire show they could sympathise with Boyle's situation. "It's really, really tiring and even Lagi's not too well this morning so we said that he wasn't going to go to school," said Mr Demetriou. "It's just so draining. They did warn us, they did say to us it's such an adrenaline rush and you got to be really careful the next couple of days after." Publicist Max Clifford said people in Boyle's situation "need people around them to understand how the business works." He added that "everyone connected to the show has a responsibility" to help contestants, but its makers - including Simon Cowell - would be aware of this. Fred O'Neil, one of Boyle's friends who was her voice coach, said it was a "sad situation". "She just was caught up in all of this and I think that she will never have had an idea, at the beginning, the price that she might have to pay." 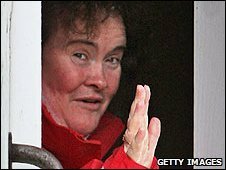 Could Susan Boyle have been protected from the dark side of fame?